Image caption Lord Kilclooney later withdrew his tweet but denied it had been "racist"
The House of Lords standards commissioner has dismissed a complaint against Lord Kilclooney over his controversial tweet describing the Irish prime minister as "the Indian". The complaint was made by the former Northern Ireland victims' commissioner, Patricia McBride. Both the Alliance Party and Sinn Féin described the tweet as racist. But the Lords Commissioner of Standards said it did not fall within the scope of the code of conduct. "The commissioner considered the complaint as part of an initial assessment but dismissed it without opening a formal investigation on the basis that a member's opinion, or the way they express themselves, does not fall within the scope of the code," said a spokesman. Taoiseach [Irish Prime Minister] Leo Varadkar was born in the Republic of Ireland and is of both Irish and Indian heritage. Lord Kilclooney withdrew the tweet which he admitted had "caused upset and misunderstanding" but he insisted it was "not racist". The peer posted the tweet last month in response to a news story about Irish Foreign Minister Simon Coveney. He wrote: "Simon Coveney is stirring things up. Very dangerous non statesman like role! Clearly hoping to undermine the Indian." 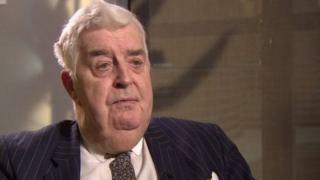 Afterwards, Lord Kilclooney said that he was unsure of how to spell Mr Varadkar's name and had used the word Indian as "shorthand".